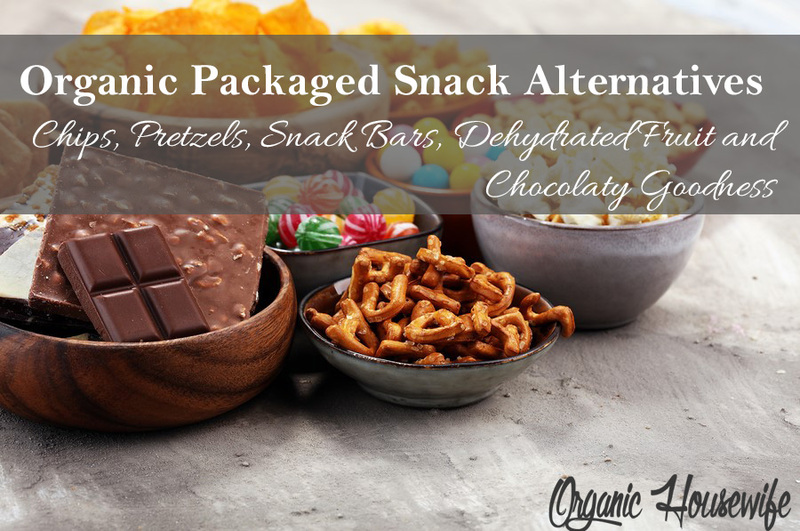 Whether in a rush, traveling or simply trying to get that toddler out of the house… Packaged snacks are a convenience and sometimes a necessity. Without compromising the organic living standards, I have put together a list of what is in my pantry. Yes, yes, we all try to eat a clean, organic and ‘whole’ diet, but sometimes processed foods are a convenience we say “yes” to. 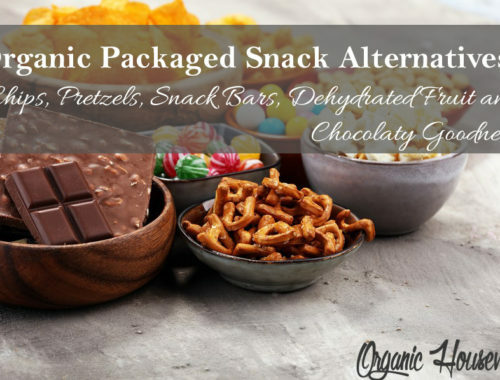 On the run… at a party or barbecue as an alternative to the corn-syrup-filled junk… traveling, or simply trying to get through the day, packaged snacks are a welcomed alternative. Bare Baked Crunchy. Buy Apple version here. OK.. These are not really chips, but for the longest time, my kids thought dehydrated apples were actual ‘chips’. These have a fantastic, truly ‘crunchy’ texture and can pass for chips. Fuji and reds have a hint of ‘sweet’ but not overpowering. Banana chips are also a popular choice. MaryGone Crackers Pretzels (Gluten Free). Buy here. I like my products as organic, as natural and as non-toxic as possible. This is one area I am forced to compromise. 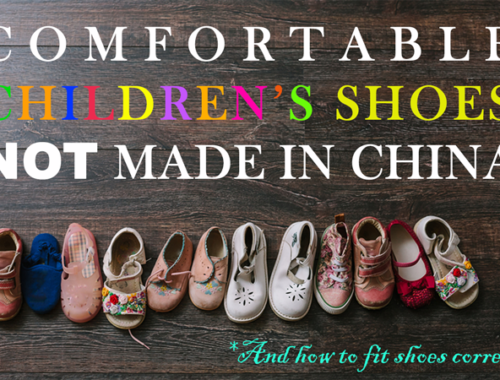 There are no perfectly non-toxic shoe options for children. 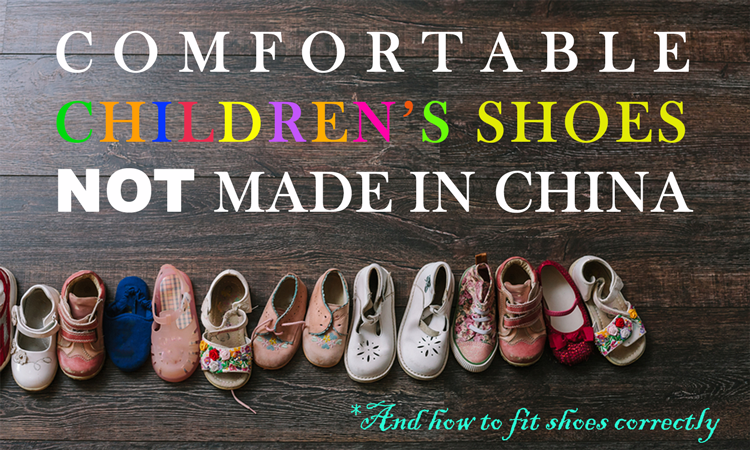 The compromise is comfortable children’s shoes not made in China. It is that time of season again… Time to get new shoes for the kids. About two or three times a year we go through this process. Tedious and very tiring but it has to be done. Cold and Flu are common and inevitable. 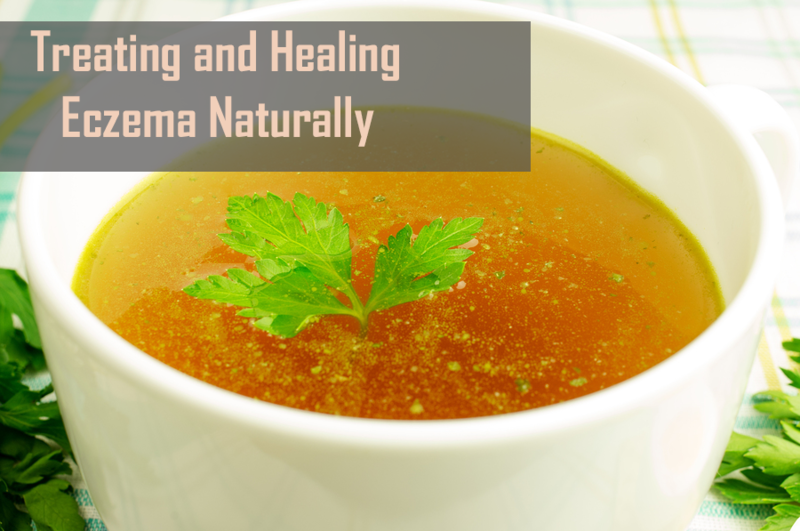 These are trusted natural cold and flu remedies that we use in our home without compromising standards for clean, natural and organic living. 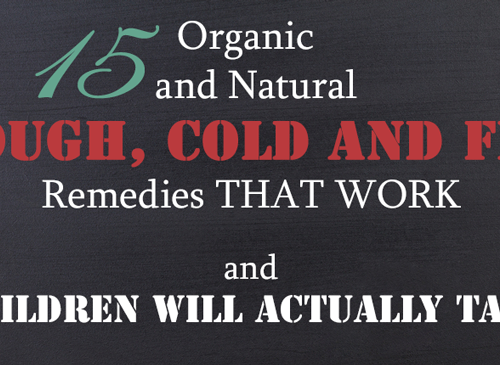 Truly natural remedies that are safe for kids and adults; and those that children will actually take. Sometimes one vitamin or supplement is enough, but sometimes, a combination of these will work best. 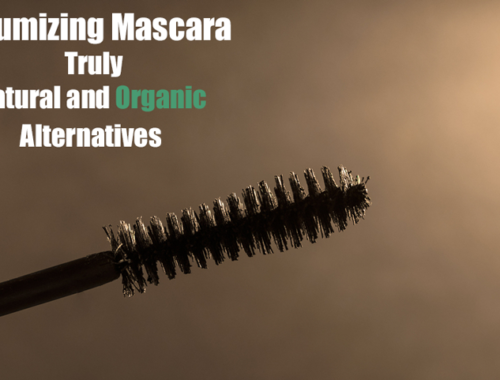 The search for good non-toxic mascara began for me in 2011. I was pregnant and instinctively knew I should be using better, organic or at least plant based non-toxic and natural products. …This was way before the many bloggers and review sites available today. And way before natural products were popular. The choices were limited and information scarce. Pre-pregnancy and certainly pre-awareness, I used to frequent Sephora and one of my absolute favorite products was the Dior Show Black Out Mascara. It did not clump, did not give me raccoon eyes, did not crumble and gave me Va-Va-Voom eye lashes. What more can a girl ask for? An organic or a natural version of-course! 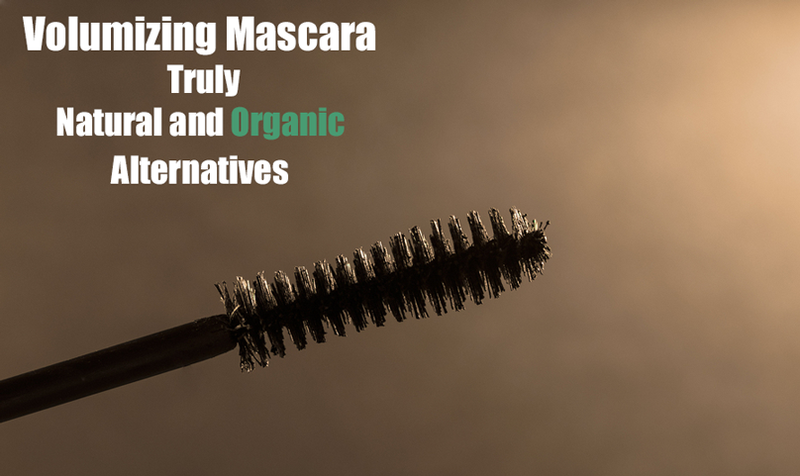 Ten non-toxic mascaras later, I have finally found a comparable truly natural replacement to Dior Show! Have no doubt, there are no green washers on my list; all are a variance of as natural as it gets. Have you seen The Martian? Yuck, he had to grow his food in poop. Turns out we have been doing it for years. 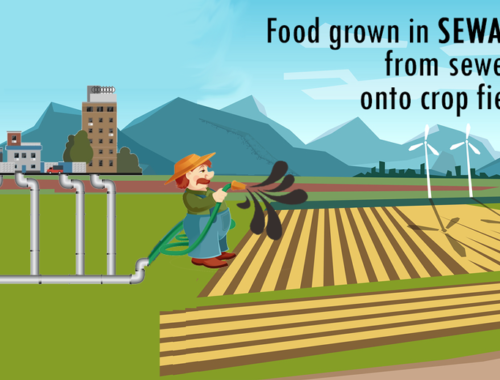 Food fertilized with human and industrial waste, or sewage sludge right here on Earth? Sounds surreal but it is not. In fact, it is very common and perfectly legal. I am “organic” for close to five years now, why is this the first time I am hearing about this? Turns out there is big money involved and there is a beautiful, non-threatening name for it – biosolids. Conventional food is bad enough, read more here – Conventional Food, What’s in it? And the cherry on top is that it’s fertilized with sewage sludge. The practice of fertilizing with animal and human manure is not new. It has been done for thousands of years. Manure is rich in essential plan nutrients and is a great natural fertilizer. I do not have a problem with fertilizing with natural composted manure from pastured animals fed an organic diet. I do have a problem with using sewage sludge, a water treatment facility by-product that is full of viruses, germs, heavy metals, radioactive material, dioxins, PCBs, hormones, antibiotics, phthalates, flame retardants and other waste. Conventional food. What’s in it? A few weeks ago I took my son to a classmate’s birthday party. They had the most gorgeous cake – a cosmos theme. Rich navy blue universe with realistic red Mars, brown Jupiter, green Uranus, blue Neptune; the moon, the sun and even a beige Saturn with its belts. The most beautiful cake I have ever seen. Truly. I am often met with raised eyebrows. Most people do not think about what they are eating. We all know organic is better, but just how much? Turns out quite a bit. 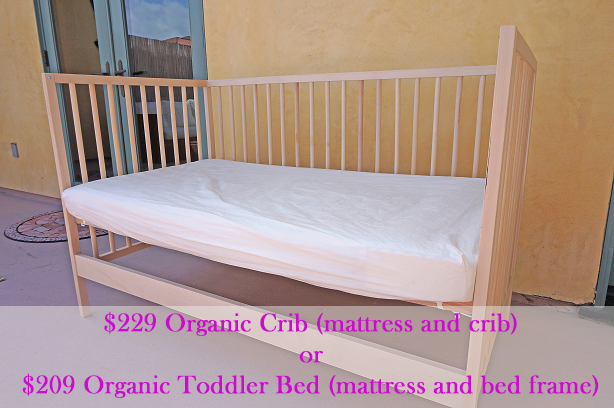 I am talking about a cheap, truly non-toxic, solid wood bed frame and all certified organic mattress. Yes it can be done on the tightest of budgets! Our beginning was rough. I was on a round of antibiotics around 14 weeks gestation because my obstetrician found Strep B in my urine and two rounds of antibiotics at birth. The gut bacteria and the vaginal flora were sterilized and my child was deprived of critical bacteria that should have colonized his skin and his gut. During the first week of life my sweet child had terrible diarrhea and around four months of age the eczema saga has begun. I grew up with conventional medicine and that was the only way I knew so that is where I turned. I saw the head of pediatric allergy department for a world-renowned major hospital; one of four licensed pediatric dermatologists in my state and two pediatricians. Doctors said the eczema was genetic and there was nothing that can be done. Genetic, even though there was zero history of eczema on either side of our families. There is always a list in the back of my mind with what I need to do… Next steps at detoxifying our lives. 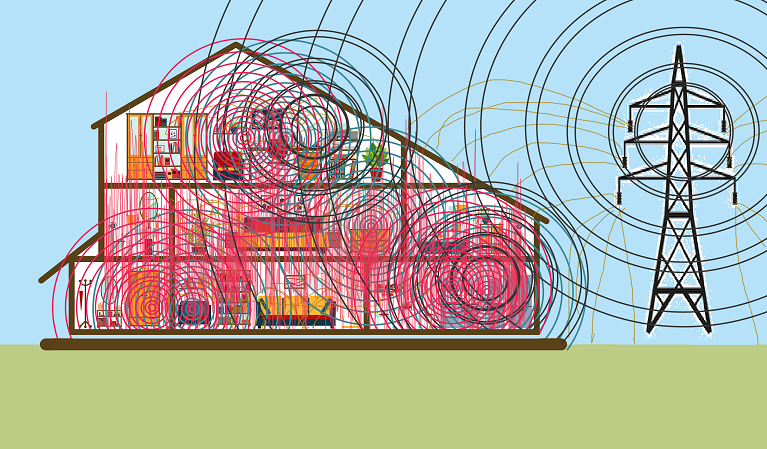 One of the things on my list was EMF remediation. I knew it was a can of worms but I did not know just how complicated it would be. Initial research made my head spin and I got nowhere fast. Months and then years went by with me picking up this task but never finishing as it was just too complex. Determined, I did some brief googling and came across Ray Pealer of EMR Safety. It turned out that he serviced my area so I made a call. Our lives will never be the same.